Where is the Leadership in Radio? In 1999, I stood in front of a series of investors at a venture capital firm, and I laid out a plan for a new business, something I told them was the next big thing in radio. I had gone first to radio companies but had doors slammed in my face. So I went to Silicon Valley and raised many millions of dollars on the concept. My belief was that the next big thing was like a newsstand, with many magazine titles and subjects … in the form of audio. I suggested that every tribe, every interest group, would listen to a radio station about their specific interest, and I had developed technological solutions that would allow them each to create their own niche broadcasts. If you stop and think about it, this was what became podcasting — but that did not come about until many years later. And, frankly, there were no iPods until about three or four years after RadioCentral shut down, and it was iPods that eventually enabled podcasting to get traction and distribution. Apple’s way of approaching it was better than mine, yet the concept is identical. Anyone can have their own station, and people can find content for any interest. And podcasting is thriving. 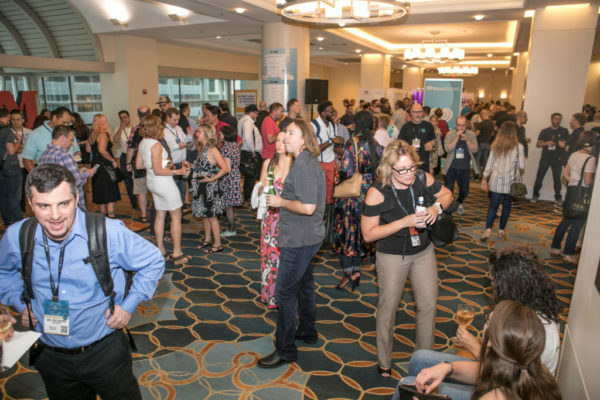 This week Radio Ink was at the giant Podcast Movement conference in Philadelphia, which was packed with nearly 2,500 people — it’s probably equal in size to the Radio Show. Let that sink in for a moment. A little industry no one in radio ever thought would amount to anything has its own massive convention, equal in size to our own. And what’s exciting is that it’s filled with invigorated people, and sponsors clamoring to spend money. This is a conference filled with happy, upbeat people, and podcast listening has been soaring. Respectfully, can you tell me the last time you saw that level of excitement and innovation in radio?